Several dedicated readers (yes, seriously) have requested a glossary of terms they can quickly reference in case some of the pesky TLA’s and my lazy short-hand references are a little too obscure. This is a formative revised version which hopefully will continue to be updated and grow as I bumble along churning out more and more err, witty effulgence. I’ve also taken it as an opportunity to flesh out some of the recurring dramatis personae, just so you can get some sort of understanding of the people I’m forced to put up with each week. 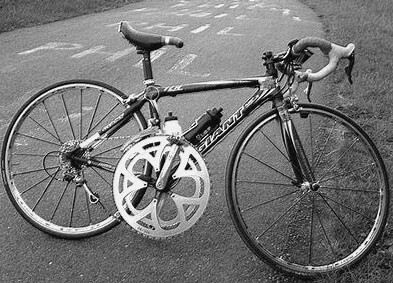 SLJ or Sur La Jante: The original phrase comes from the term “finir sur la jante” which I rather shamelessly purloined from a glossary of obscure cycling terms on the Inner Ring blog. Seriously, if you have even a passing interest in the sport of road cycling Mr. Inner Ring is a must read. To finir sur la jante is to finish on the rim, as if you’ve punctured and have to ride slowly. It seems to rather aptly sum up my efforts in the weekly club sprint to the café. 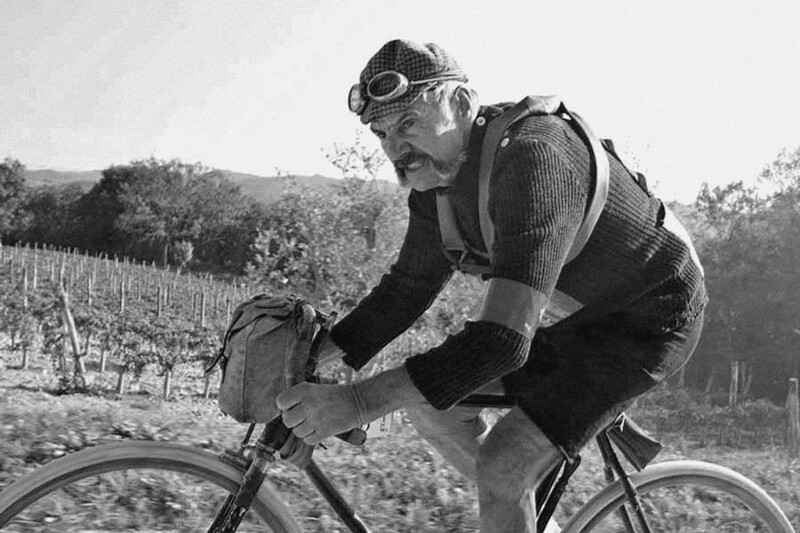 SLJ or Sur La Jante can also refer to this blog, (well, d’uh) – a paean, an homage, a eulogy if you like, to club cyclists and the traditional club run, in all its eccentric, idiosyncratic, bizarre, compelling, colourful and hugely entertaining glory. 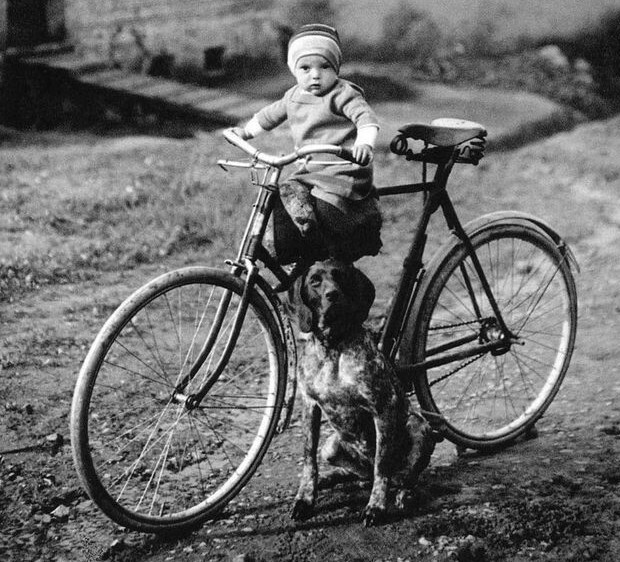 SLJ or Sur La Jante can also refer to this blogs author, a 50-something, remarkably undistinguished club cyclist, occasional blogger, all-round curmudgeon and sometime smart-arse. FNG or Flippin’ New Guy/Gal– is somewhat sanitised, US military slang, adopted (solely by me) to describe any new, newbie, noob, first-timer who turns up for one of our regular club runs and, more often than not, is never seen again. There has been some recent debate about when a FNG is said to “stick” and loses their FNG status. This has yet to be resolved. O.G.L. 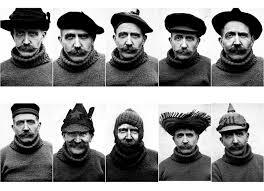 wearer of many hats. Crazy Legs – a fellow rider and club run regular, characterised by unfailing enthusiasm and a super-high cadence driven by the skinniest calves this side of a bankrupt Eritrean cattle farm. Full of natural bonhomie. Given to nurturing and nursing FNG’s and renowned for constantly singing an eclectic mix of slightly off-kilter, occasionally tacky, pre-Millennial pop songs. Taffy Steve – a fellow rider and club run regular, originally from the lands of the mythical Pant Cudd (who only narrowly escaped being referred to as Pant Cudd throughout this blog.) Most closely resembles “satirical comedian” Marcus Brigstoke, only far, far funnier and considerably more cynical. Drier than an Oklahoma dustbowl. Hates his thrice-cursed winter bike with a passion. G-Dawg – a fellow rider and club run regular. Largely thought to be indestructible. Made in the same factory and cast from the same mould as the Terminator T-800 Model 101. Much like a paranoid hobbit, he has an irrational fear that a cruel overlord will claim his soul if he ever succumbs to the dark side and slips the chain off his big ring. Even G-Dawg’s much under-utilised inner ring is the size of a dustbin lid. Son of G-Dawg – Obviously the younger, faster, stronger chip off the old block. Most closely resembles the Terminator T-850 Model. NB: Just as in the movies the younger, faster, stronger model doesn’t always win. 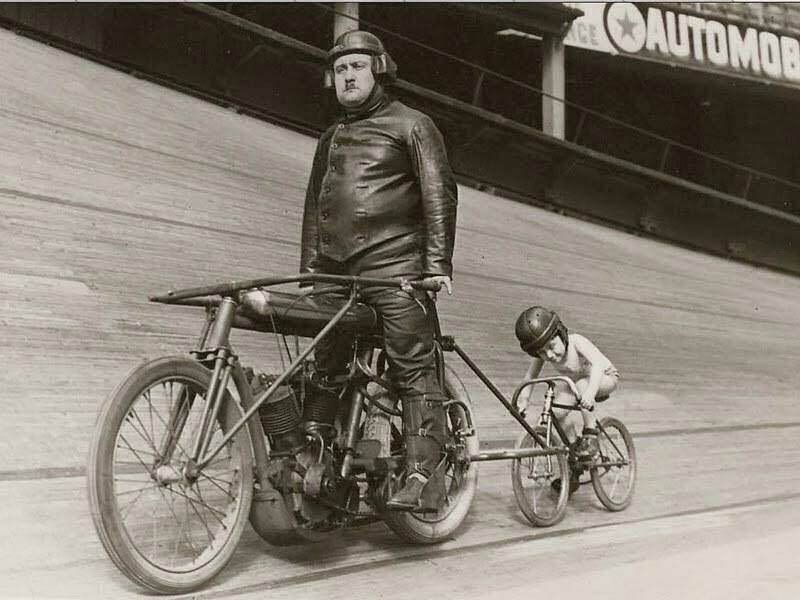 This photo supplied by the BFG purports to show Son of G-Dawg’s early training behind his Pa. The Prof. – a fellow rider and club run regular. Does actually work at the University, but earned this soubriquet more for his uncanny resemblance to Professor Pat Pending in Wacky Races, his blind devotion to Convert-A-Car eccentric and small-wheeled bike design and some remarkably home-spun (and home applied) engineering solutions. Perhaps the owner of the club’s smallest, leakiest bladder. The Prof. on one of his many Convert-a-Car creations. The Red Max – a fellow rider and club run regular. Prone to chasing down anything that moves, like a loopy Labrador on speed. Has a penchant for red – bikes, clothes and the zone where his heart rate usually resides. Master of the Forlorn Hope “sprint.” It is believed Max has recently signed a sponsorship deal with the Ringling Bros, who now supply all his shoes. Zardoz – a club run irregular and super-fit, cold-hearted assassin masquerading as a good-natured, white-haired, twinkle-eyed, perfectly avuncular octogenarian. Will rip your legs off if he senses even the slightest weakness, but you accept it because all the while he’s smiling sweetly at you through the pain. Has a great way of announcing an approaching motor vehicle by bleating “Keeargh” in an exaggerated Scouse accent, a warning that sounds remarkably like our cat coughing up a furball and never fails to make me laugh. 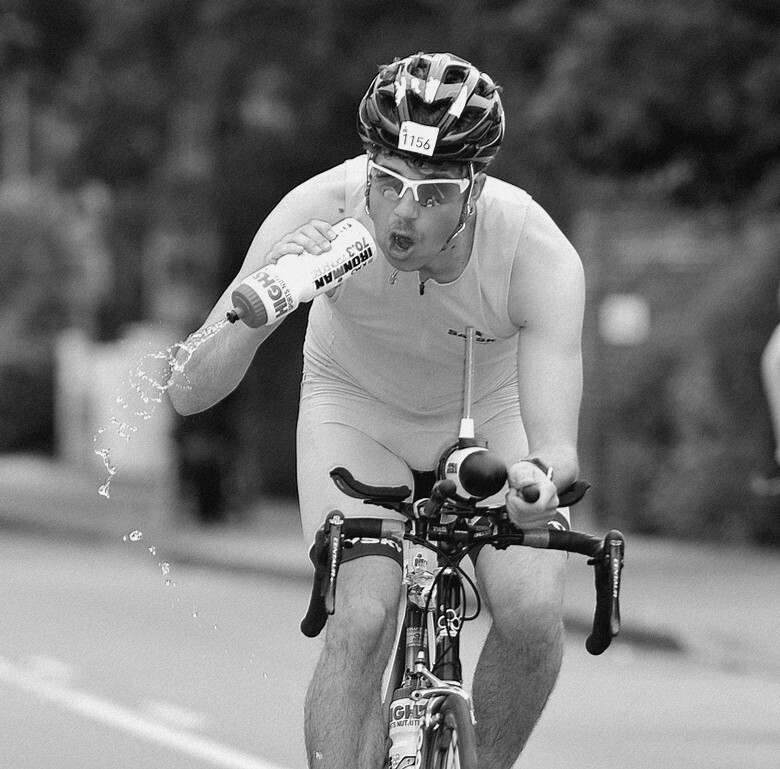 Of course Tri-Athletes aren’t really dumb, are they? Ovis – a club run irregular with a strange predilection for running down stray farm animals. Forced to abandon his former life in the Deep South (Rochdale, Rotherham, Richmond, Rochester or some such) and live in exile under Witness Protection following the failure of a catastrophically inept, pyramid selling scam. Left with a container full of garish cycling kit from a previous club which has a half-life greater than Bismuth-209 and is rumoured to be capable of surviving a 6 megaton thermo-nuclear detonation. 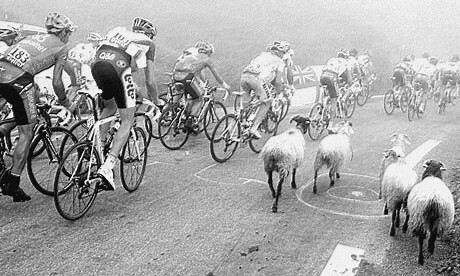 Both the peloton and flock breathed more easily once they realised Ovis wasn’t there and there wasn’t going to be a crash. Captain Black/The Captain – a club run irregular of slightly saturnine appearance. Wears the dirt on his bike like a badge of honour. In thrall to a fat man of allegedly indeterminate parenthood, to whom he pays a princely ransom to be allowed to watch foreign dilettantes chase an artificial pigs bladder around a paddock. Once, in an Obama-isn’t-an-American-citizen type scandal called me “young man”. Should have gone to SpecSavers. 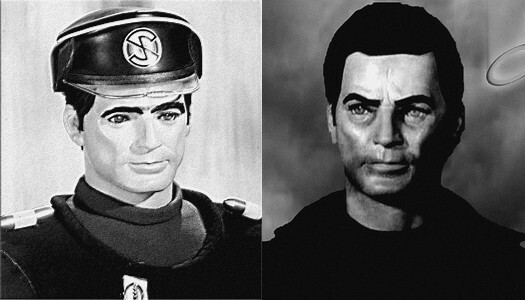 Captain Black – in and out of official club kit. BFG – the Big Friendly Giant – exactly as it says on the tin. Has a strange passion for all things vintage and classical, including esoteric kit made from inappropriate materials that never caught on, either because they were scrotum-tighteningly expensive, or simply deeply flawed, fragile and not at all effective, or in the majority of cases all of these things. Finding a frame that fits “just right” has always been a struggle for the BFG. Shouty – a club run irregular. I unashamedly stole the name from one of her self-titled Strava rides where, giving her the benefit of the doubt, I think it was so windy she had to bellow loudly in order to have a conversation with the rider next to her. Not sure this potentially discourteous soubriquet is truly deserved, but I’m working on the principle she’s unlikely to find it buried in this benighted backwater of the Internet. The Plank – a thrusting young thing and irregular club rider. Essentially a semi-professional, full-time stagiaire for the Army. (Whether the Army should be doing something as frivolous as sponsoring a cycling team in these days of defence cuts and extreme austerity, I’ll let you decide). Before anyone accuses me of being particularly mean-spirited it’s worth pointing out that Plank is accepted British Army slang for a member of the Artillery, and I’m pretty certain it’s a term that’s used with a great deal of affection. Ether – a club run irregular from north of the border who occasionally displays the whitest legs that have ever existed this side of an over-worked, albino wool fuller with vitiligo. 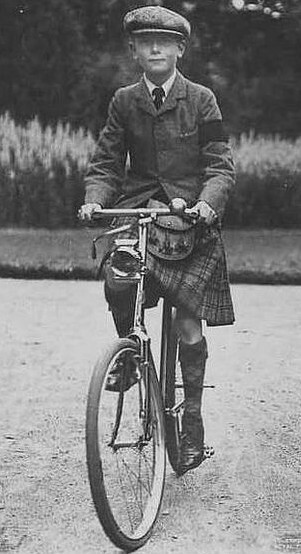 In keeping with his Scottish ancestry and stereotypical impecuniousness, can often be seen using inner tubes with more patches than Windows 8. Still owes me a (new) inner tube for the one I loaned him 3 years ago. We had to use special protective filters on this photo to stop the glare from Ether’s legs damaging retinas. Rab Dee – a club run irregular and another from North of the Border. A strong rider, but sadly lacking the shockingly-white, retina burning skin tones of some of his brethren. Goose – a club run irregular, as likely to be following ancient ley lines from one side of the country to the other as riding out with us. Highly sociable. 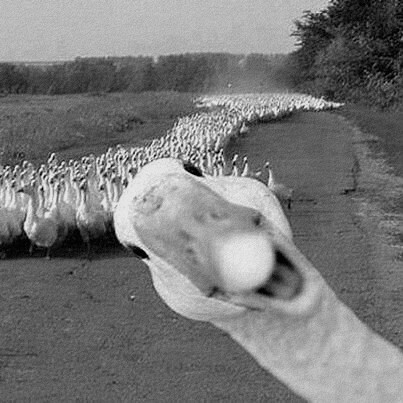 Owner of a booming voice and honking laugh, I always know where he is, no matter how big the bunch is. Plumose Papuss – a 44kg bundle (when soaking wet) of youthful energy and seething enthusiasm, laced with wicked potential and usually armoured in long green socks. Floats up hills and provides truly crap shelter in a headwind. Has a burning ambition to grow old disgracefully – an admirable metier for one so young. 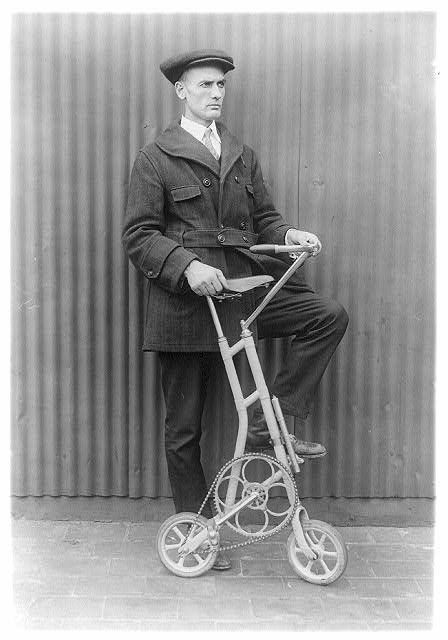 Plumose Papuss gearing up for a club run. Grover – an irregular club run rider. Good-naturedly puts up with a great deal of stick for being OGL’s erstwhile lieutenant and enforcer in absentia. The only person ever known to change his drink so the faint blush of colour through his bidon matched his new bartape. 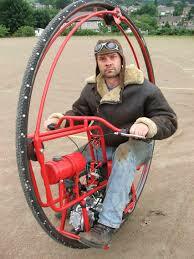 Bike tinkerer par excellence. The Demon Cult of the Racing Snakes – super-skinny, super-fast, super-strong and super-serious roadies. Invariably young. Always in training. Always using their siren song to lure the unwary off for longer, faster, harder, hillier rides at lung-bursting, eye-sweating, blood-boiling, muscle-twitching, on-the-rivet, break-neck pace. Often leave their victims as straw men, a hollowed out empty shell, seemingly dazed and blind behind a thousand yard stare. Grognards – literally the grumblers, named after the veterans of Napoleon’s elite Old Guard divisions. Here it refers to a contingent of old gits who have refined complaining down to a fine art and lived through the halcyon days when everything was, quite simply, better. The Grogs – a dark and secretive cabal within the club which may, or may not, number many grognards in its ranks. They have their own, special version of the club jersey which can only be won through a dark ritual involving the sacrifice of small, furry animals and communing with the drunken ghost of Henri Desgrange. Often silently and mysteriously slip away from the club run to do their own thing, only to reappear sitting relaxed and unruffled in the café long before anyone else gets there. Communicate through a series of arcane hand signals and a high-pitched chirruping that can drive dogs insane, but is generally inaudible to human ears. Amblers – the slower, eminently more sensible group who usually take a shorter, more relaxed route to the café when the ride splits. Raphalites –particular devotees of massively over-priced and painfully niche bike and cycle clothing brands who, despite spending a small fortune on “all the kit,” don’t actually ride all that much, or seem to enjoy it when they do. Show ponies with more style than substance and more money than sense. 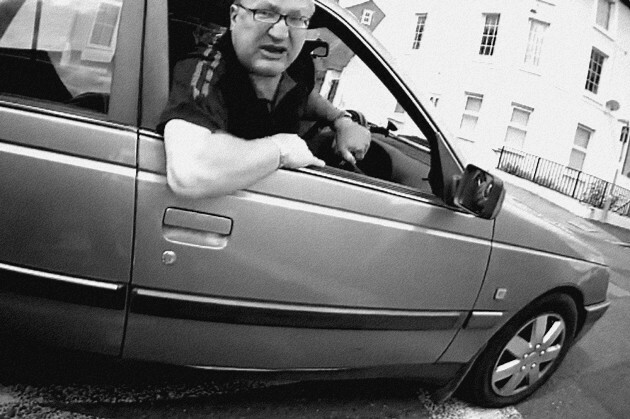 RIM – Random Indignant Motorist. One of those superbly angry fellow road-users who feels they have a divine right to all of the road, all of the time and are on a mission so important that they cannot slow down for anything or anyone. They are always … always … in the right. Transport Interchange Centre – our rendezvous point, aka: a bus station. The Great North Road Cycle-Maze and Death Trap™ – a constantly evolving, ever- changing and utterly illogical narrow ribbon of tarmac built with the sole purpose of protecting all other rightful and righteous road-users from the evil depredations of cyclists. This has been achieved by making the route so confusing, befuddling and dangerous that the unwary cyclist gives up, gets off and pushes, rather than becoming trapped or delivered directly into the path of a kerb, bus stop, barrier, bollard or speeding motor vehicle. Reg – my constant companion and weapon of first choice when the weather isn’t utterly, utterly miserable. A Holdsworth Stelvio frame of mixed pedigree in an eye-bleeding combination of black red and yellow, built up with salvaged bits and pieces from my crashed and trashed previous bike. According to one fellow rider the paint scheme is gaudy enough to be worthy of an aluminium bike. Reg’s predecessor underwent major reconstructive surgery in the Prof’s secret home workshop/lair/control centre/laboratory and has been resurrected as the Frankenbike. Strava – a bike app I use to track my rides and record distance, speed routes and times. It supposedly has many more sophisticated functions that this old Luddite cannot grasp and can also be used “competitively” to cause utter chaos in the midst of the most serene of group rides. Forlorn Hope – a glaringly telegraphed, highly predictable, massive attack miles from the finish that’s inevitably doomed to failure. An all-out sprint of between 3 and 5 miles. (See also: The Red Max). Szell Game – an undertaking to never let Szell rejoin the front group for the café sprint once he has been distanced on a hill. It is acceptable, indeed desirable to allow him to nearly, almost, just get within a few metres of the last backwheel before putting in a spirited acceleration. (See also: Szell).